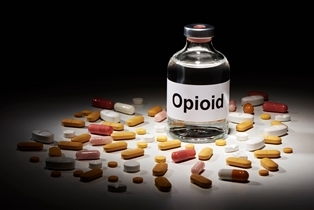 Is the use of opioids to treat chronic noncancer pain associated with greater benefits or harms compared with placebo and alternative analgesics? A new analysis again demonstrates opioids may provide benefit for chronic noncancer pain, but the magnitude is likely to be small. The Texas Chiropractic Association (TCA) is pleased to announce the renewal of its partnership with Tax Favored Benefits (TFB), the official retirement plan provider of TCA. TCA encourages the chiropractic community to consider TFB for their personal and business’ retirement planning needs. TFB helps clients by designing strategies to efficiently implement financial planning goals. TCA entrusts their retirement and financial planning to the expertise of TFB. The American Chiropractic Association (ACA) has announced plans to rename its annual meeting “ACA Engage” beginning in 2020. The new name is part of the association’s ongoing efforts to position members for success by bringing them cutting-edge education, networking and leadership-development opportunities, and the chance to lobby Congress on behalf of their patients and the profession. The National Chiropractic Leadership Conference (NCLC) has long been known for bringing together industry leaders from all over the country to meet with members of Congress on Capitol Hill, and engaging legislators will always be a priority. Over the past several years, however, the program has expanded considerably to include a wide variety of education offerings (with CE credit available), speeches from respected thought leaders and panel discussions that delve into some of the profession’s most compelling and important topics. The new name better reflects the expanded focus of the conference. On Wednesday, December 12, TCA filed a motion for reconsideration with the Third Court of Appeals in Austin in the TMA vs. TBCE/TCA (VONT) appeal. In its decision, the Court struck down the Texas Board of Chiropractic Examiners’ definition of the subluxation complex, faulting TBCE for calling it “a neuromusculoskeletal condition.” However, TCA believes the Court did not analyze whether “subluxation complex” – a freestanding part of the Texas Chiropractic Act – might include some element of nerves. TCA also contends that TBCE’s definition is the only correct definition of the subluxation complex and that it accurately reflects the core concept of chiropractic. TCA believes the Court should have separately analyzed the term “subluxation complex” instead of lumping it together with “musculoskeletal system” and that the subluxation complex—even with a role for nerves—is not the practice of neurology. Running coach Eric Orton said, “The health of our feet truly dictates the health of our running ability.” Many running injuries stem from weak foot muscles or imbalances in the feet that are invisible to the naked eye. Plantar Fasciitis, Achilles Tendinitis, iliotibial band syndrome, patellofemoral pain syndrome, medial tibial stress syndrome, and metatarsalgia are injuries runners suffer from. Some estimates put the number of runners who are sidelined by these injuries annually at 90 percent. A 2015 study published in the British Journal of Sports Medicine found that runners who avoid injury land lightest on their feet, reducing the force of impact. Researchers suggest that runners consciously think about landing more softly and adjust their stride to land closer to the midfoot. This is easier said than done. Most runners are heel-strikers, and there are some indications that runners with excessive pronation or high arches, who attempt to transition to a forefoot strike pattern, might be more susceptible to injury.